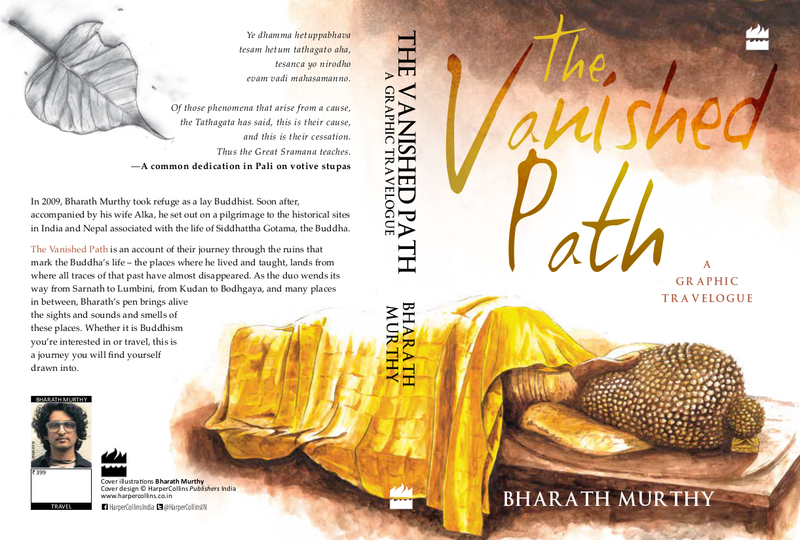 A road that explores the nuances of Buddhism caught perfectly in sequential art, Bharath Murthy’s The Vanished Path is more than any other graphic travelogue. It is a spiritual journey littered with discoveries and evolutions. Inspired by a growing interest in Indian Buddhist history and Buddhist teaching, Bharath Murthy’s growing interest in uncovering the conspiracy of silence that shrouds our Buddhist past intrigued him to read Pali discourses of the Buddha and other historical as well as scholarly articles. “I thought I must create something that deals with the subject. 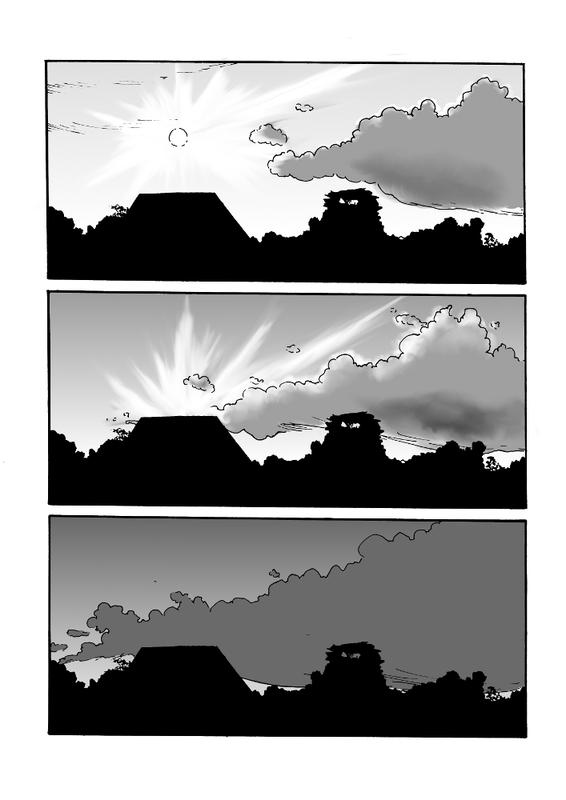 Initially I thought of making a comic strip about Buddhism. Then I decided that as a lay Buddhist I must make a pilgrimage to the Buddhist sites, an act done by millions of our ancestors. I thought of doing a journalistic comic about it. Then slowly the idea for the book took shape,” he begins explaining his journey. While most of the world is familiar with the names of Joe Sacco or Guy Delisle, the path of a travel narrative depicted in sequential art is one that is less travelled. As Murthy weaves a deeply personal story of experiences as a tourist and a pilgrim, you realise that Sacco too had once visited Kushinagar, the place where the Buddha had died and captured in a marvellous comic. Having said that, it is important to remember that Sacco is journalist, unlike Murthy who was guided by the need to understand and bring back into cultural consciousness the Buddhist past that has been erased from our society. With clean black and white illustrations setting the mood for the graphic novel, the style seemed to be much like Sacco or Delisle – minimalist, devoid of complex adornments. But was it actually difficult depicting a spiritual journey in images? “I had to find ways to construct a coherent narrative out of the journey. That’s the hard part. It must be understandable by readers. They have to keep turning the pages and not lose interest, because I also have to give them historical information. On the other hand, I had to be able to draw real places and spaces. That’s not easy at all, I discovered. Some degree of accuracy is required, and yet the images must be easily readable, and not turn into paintings. One picture must flow into the next. I must admit that I’m still a beginner in this,” adds Murthy. According to Murthy, the hardest part of this project was keeping himself motivated to draw while doing other things to earn a living. “That’s the most difficult thing. Many people simply lose interest after working on it for a year. I could easily have let it go incomplete,” says Murthy. As far as the future goes, Murthy hopes to be able to do more graphic travelogues. “It’s a genre I have come to like. But not sure about where to go and what to write about,” he smiles. And as of now, he is busy illustrating a reinterpretation of a Tagore story written by Malini Roy.